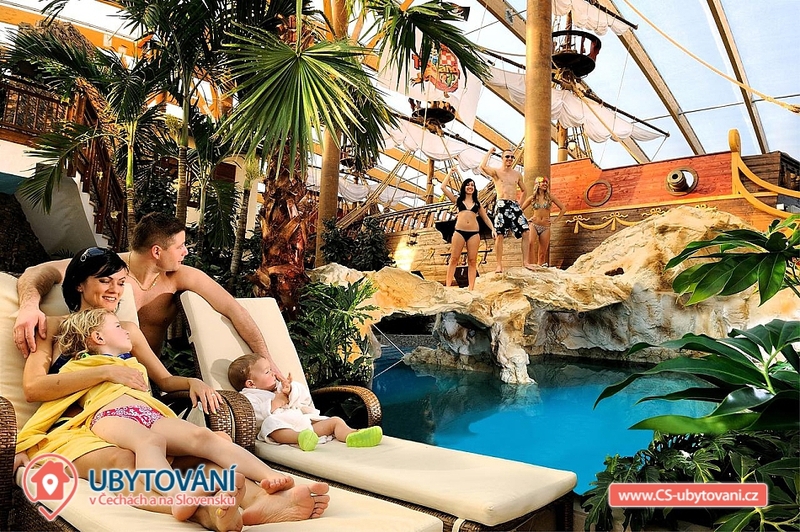 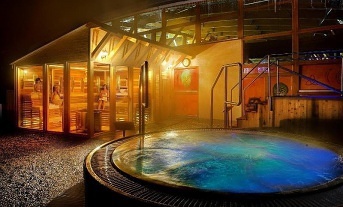 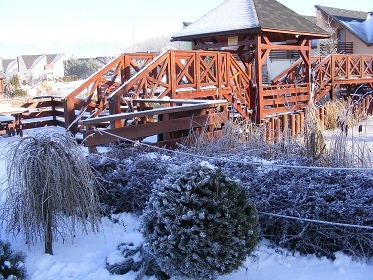 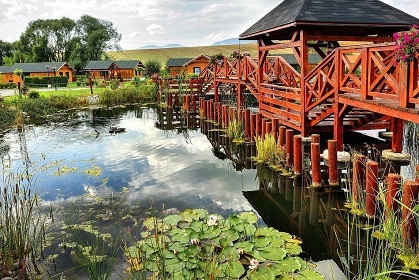 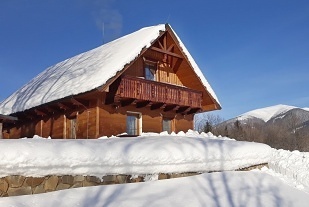 The Aqualandia Lodge is situated directly at the Aquapark Tatralandia in the sought-after surroundings of Liptov, Chočské vrchy, Low and West Tatras. 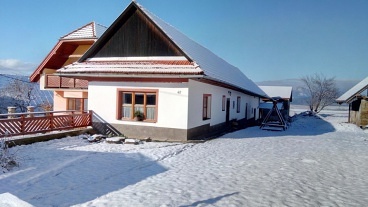 Located in the district of Liptovsky Mikulas, in the Žilinský Region, near Liptovská Mary. 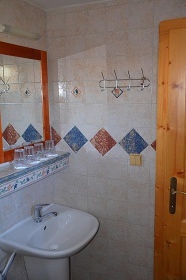 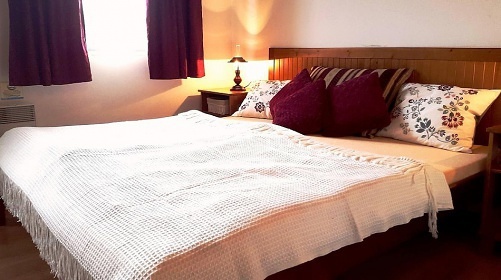 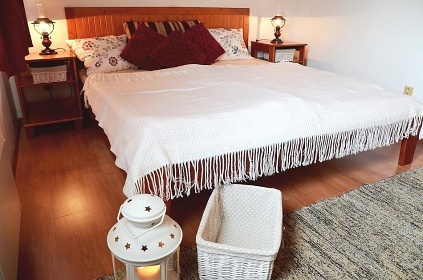 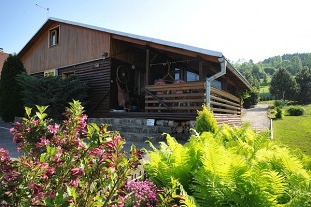 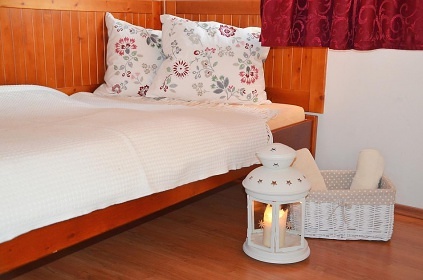 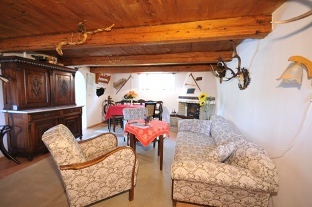 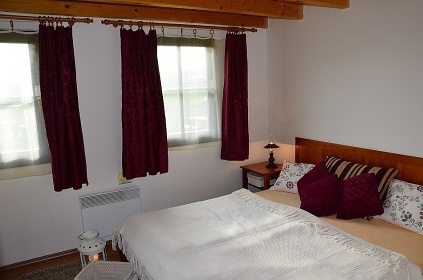 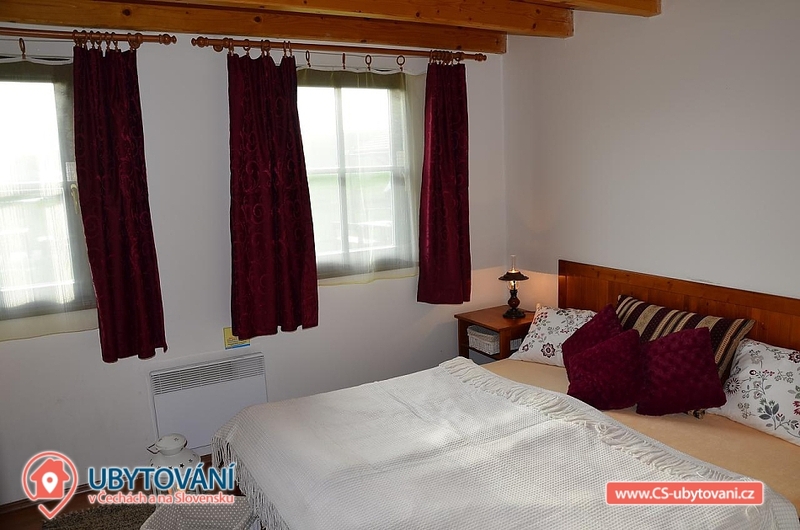 The cottage has a capacity of 3 to 6 people. 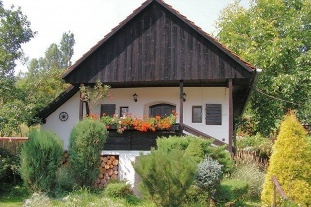 Parking is provided at the cottage. 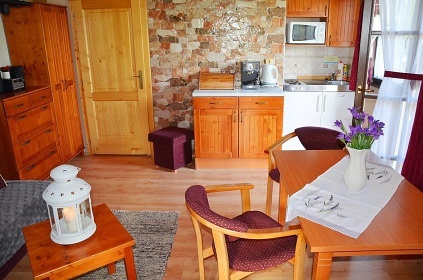 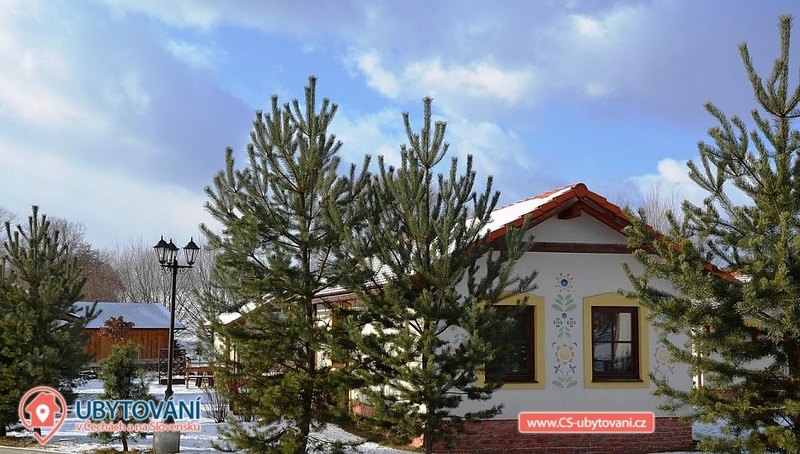 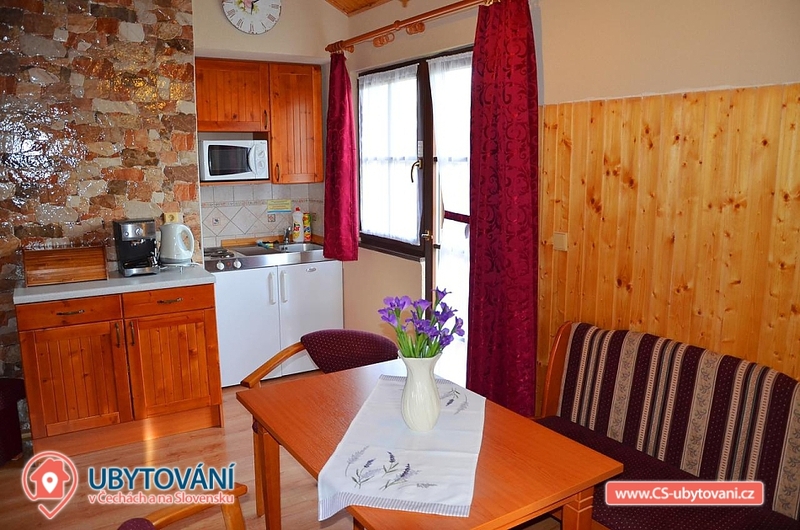 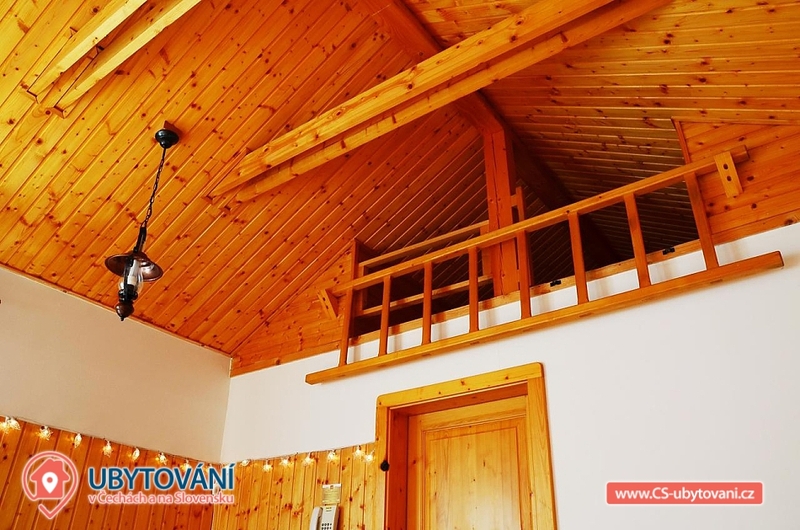 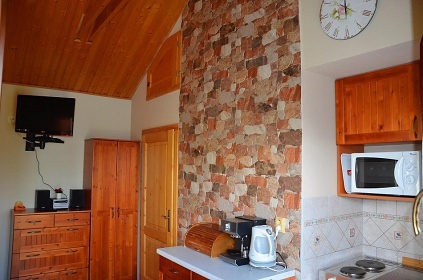 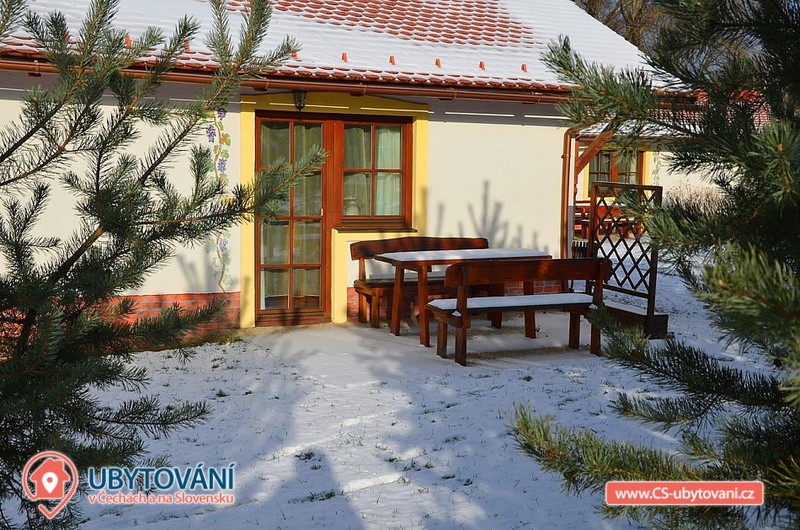 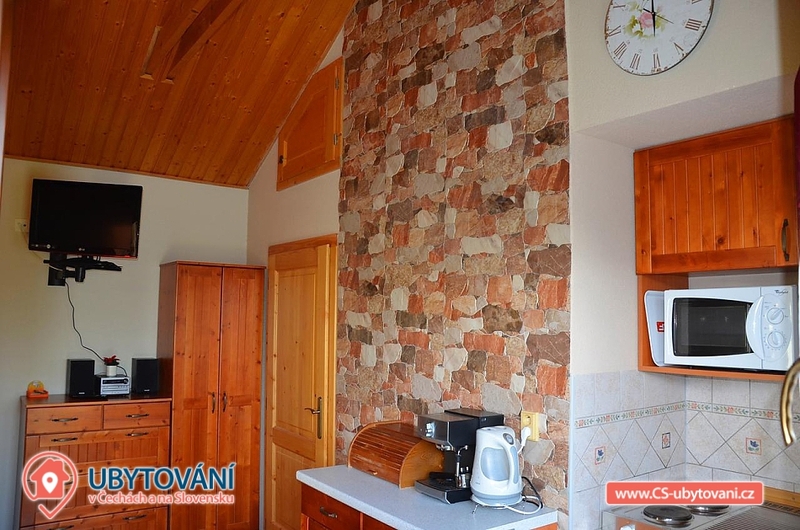 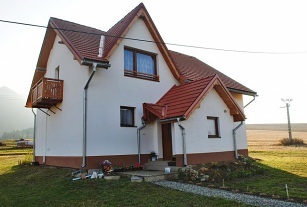 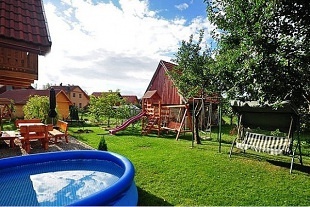 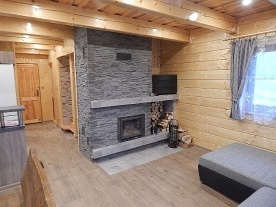 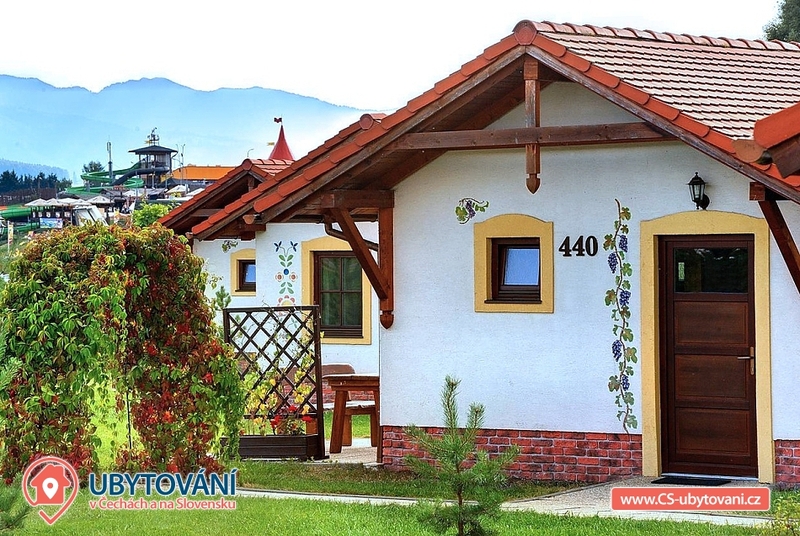 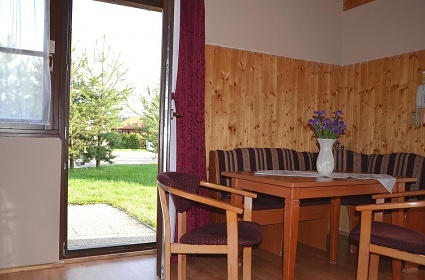 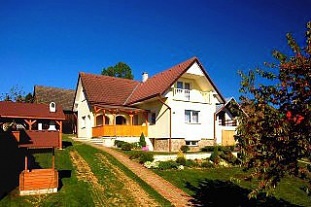 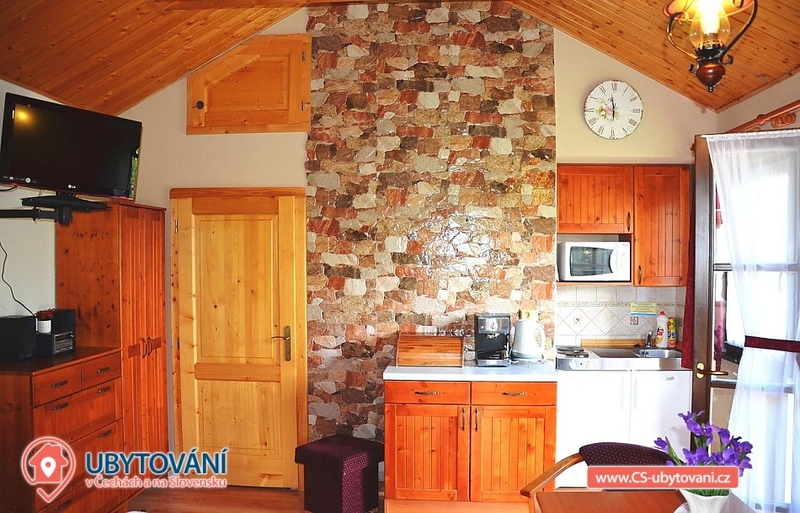 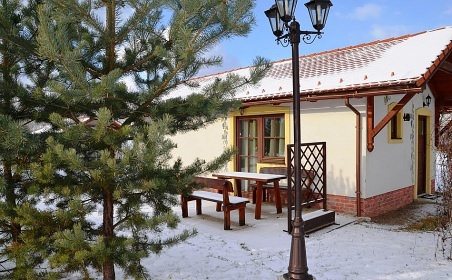 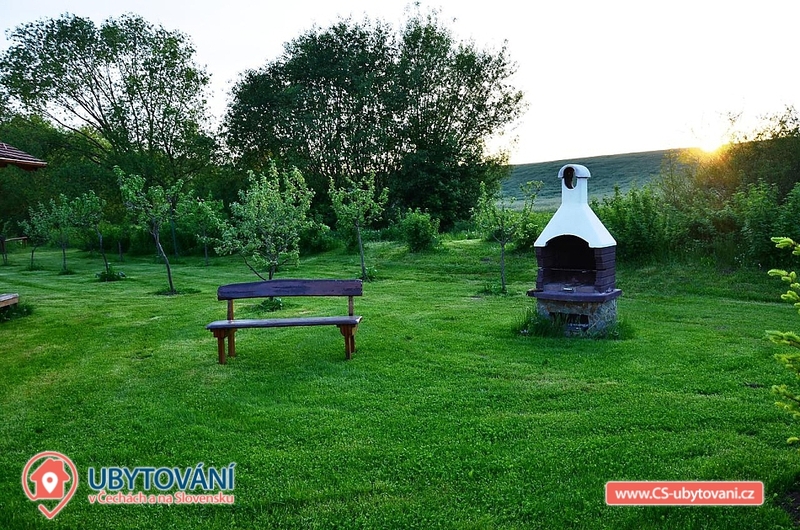 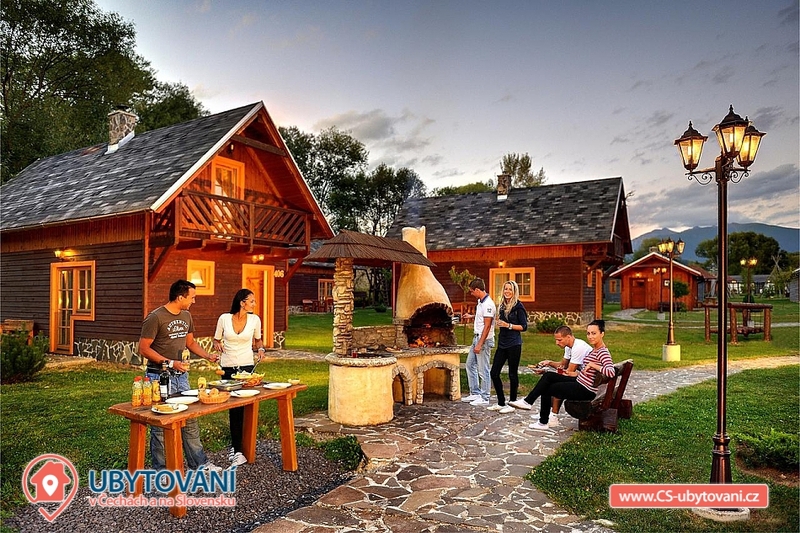 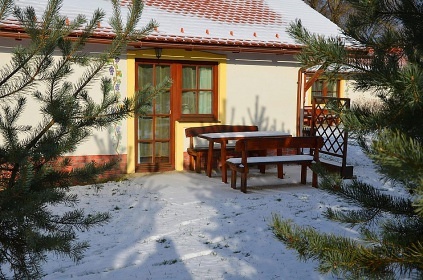 Stylish cottage overlooking the Tatras, right in the garden of the Holiday Village Holliday village Aquapark Tatralandia. 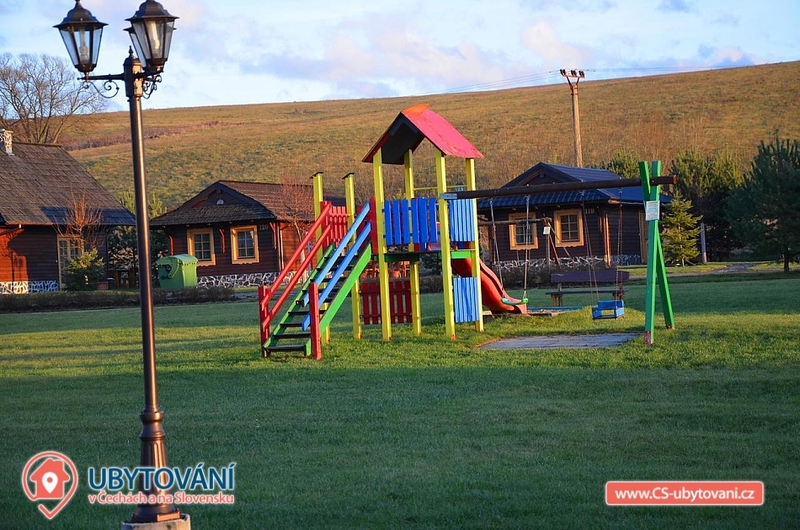 The place is a paradise for families with children and everyone who loves mountains, swimming pools, hiking and a wide range of attractions. 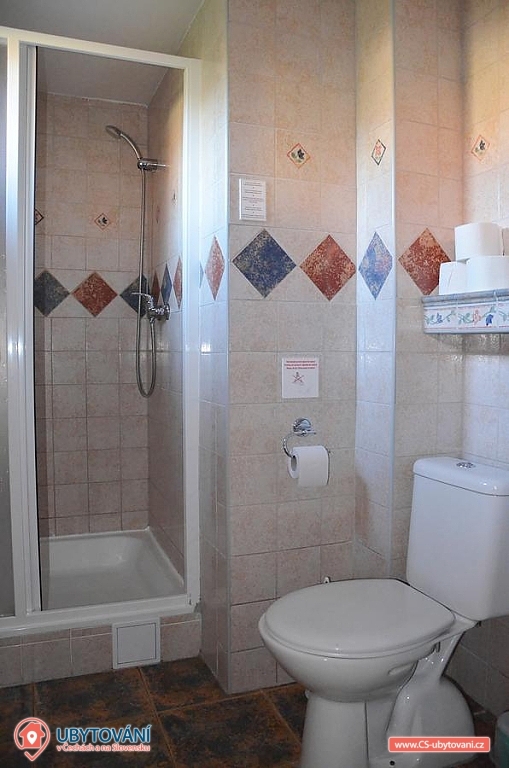 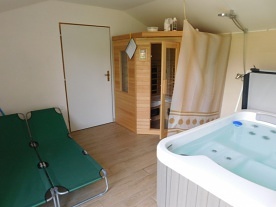 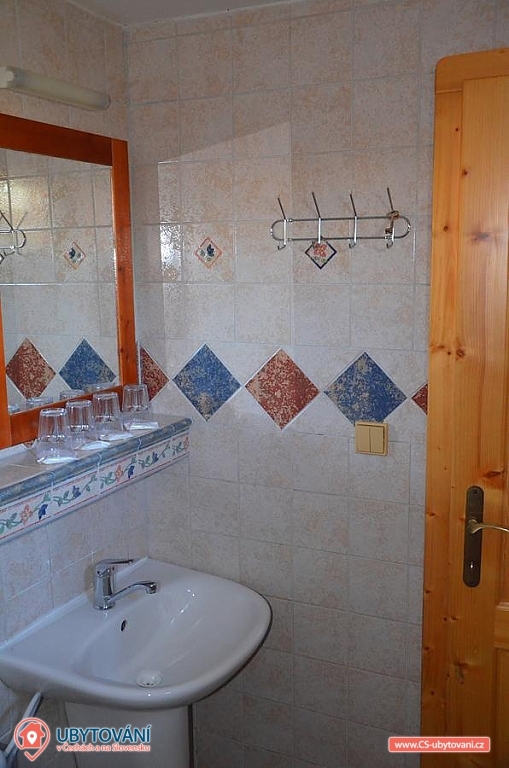 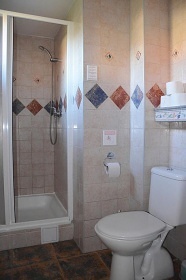 BATHROOM EQUIPMENT: anteroom, lounge with kitchenette and sitting area, table, pull-out couch, LCD -TV / SAT, telephone, radio, player, double bedroom + single bed, bed linen + towels, bathroom with shower, toilet, under-roof space, summer terrace. 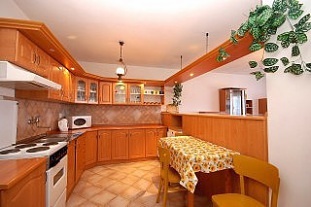 FURNISHING KITCHEN: refrigerator, electric stove, microwave oven, electric kettle, pressstore, toaster, inventory. 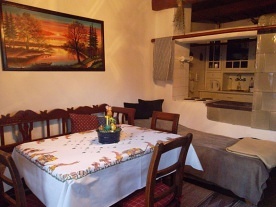 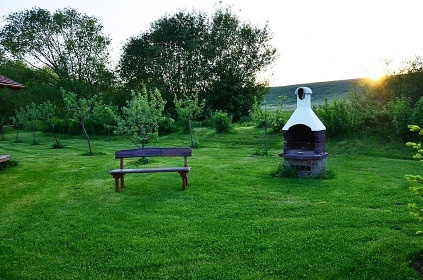 The cottage also has a summer terrace and outdoor seating, grilling, barbecue. 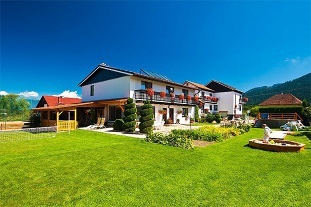 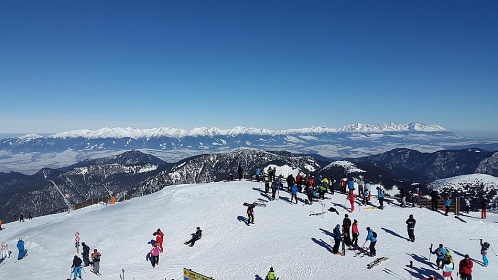 Directly on the premises there is a main building, where there is a stylish restaurant, café with WIFI connection, lobby bar, reception, children corner, bowling, 5D cinema, golf simulator, billiards. 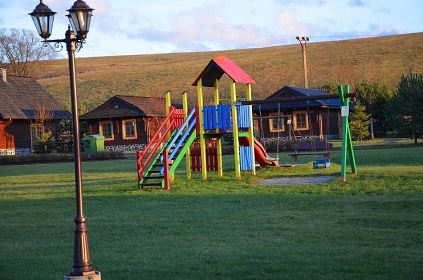 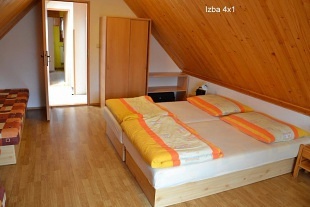 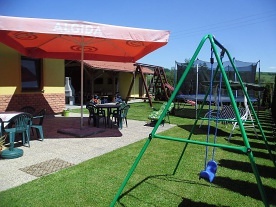 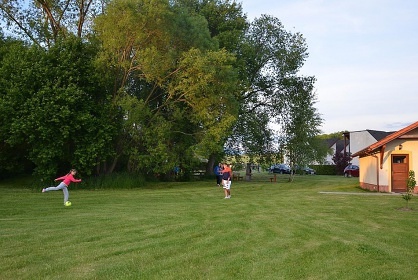 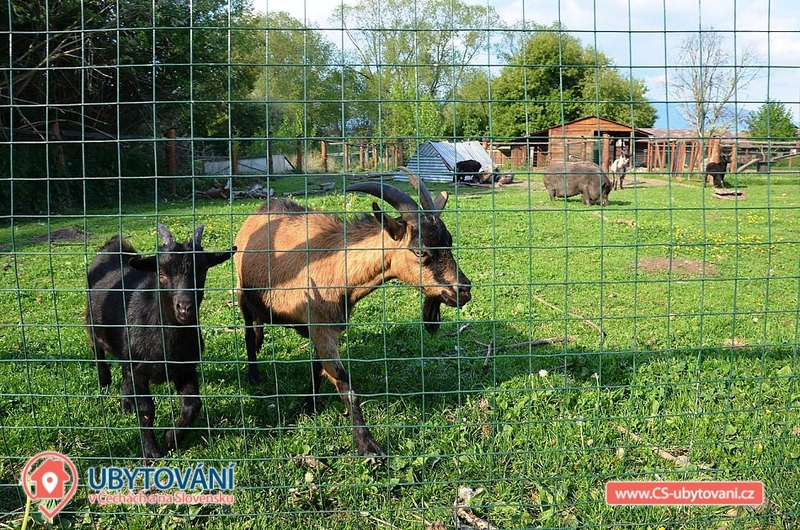 SPORTS AND ENTERTAINMENT DIRECTLY IN THE AREA - large garden, playgrounds, table tennis courts, tennis court with artificial lighting, sports fields, giant chess, mini zoo, horses, grilling, baking, bicycle rental. 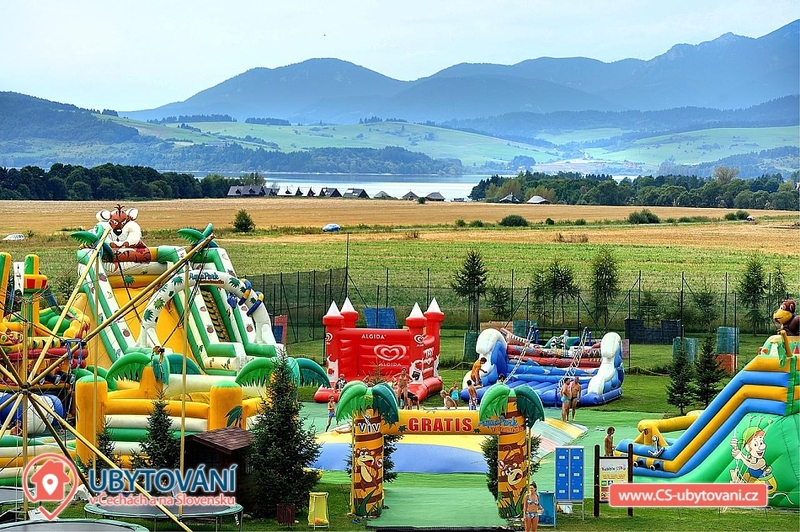 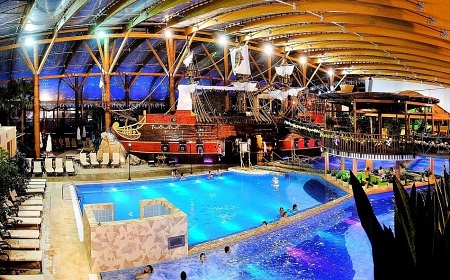 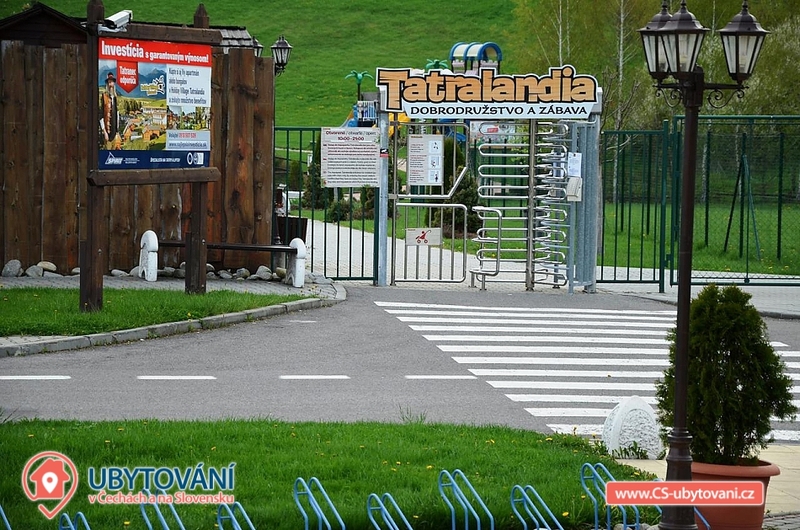 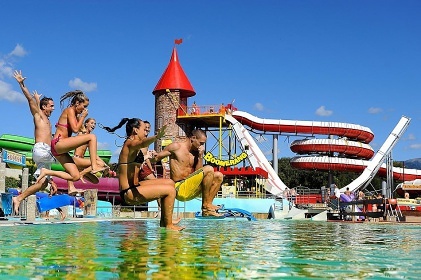 SPORTS AND ENTERTAINMENT IN THE AREA: 100m Aquapark VIP - direct entrance from the area, possibility of crossing several times per day (20% discount on multi-stop). 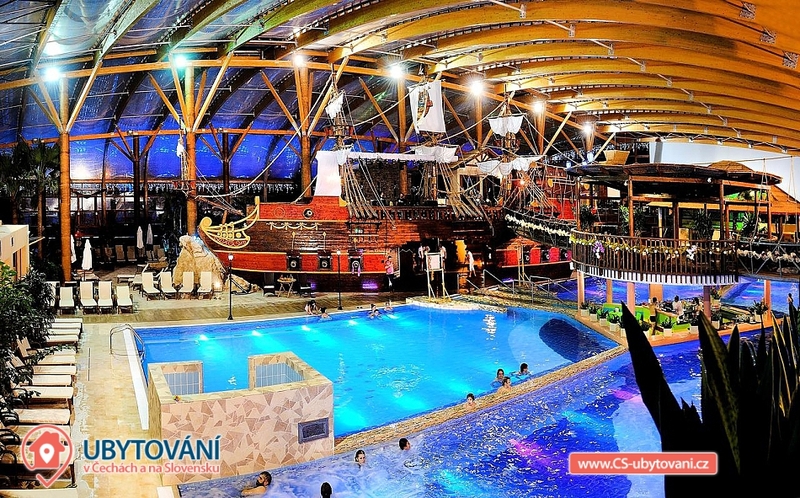 500m water reservoir Liptovská Mara - sailing boat cruise, water bicycles, boating, surfing, sailing. 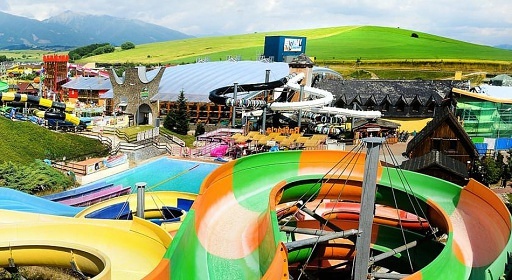 300m Hurricane Factory - adrenaline and yet safe sport and fun for everyone! 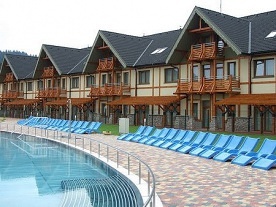 1 km cycling, hiking - Low, West, High Tatras. 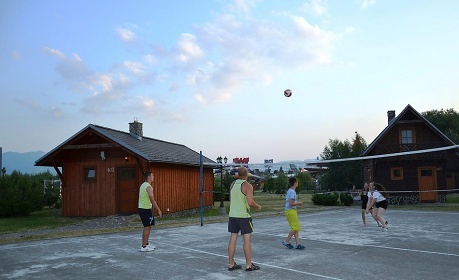 300m Liptov Arena - sports hall. 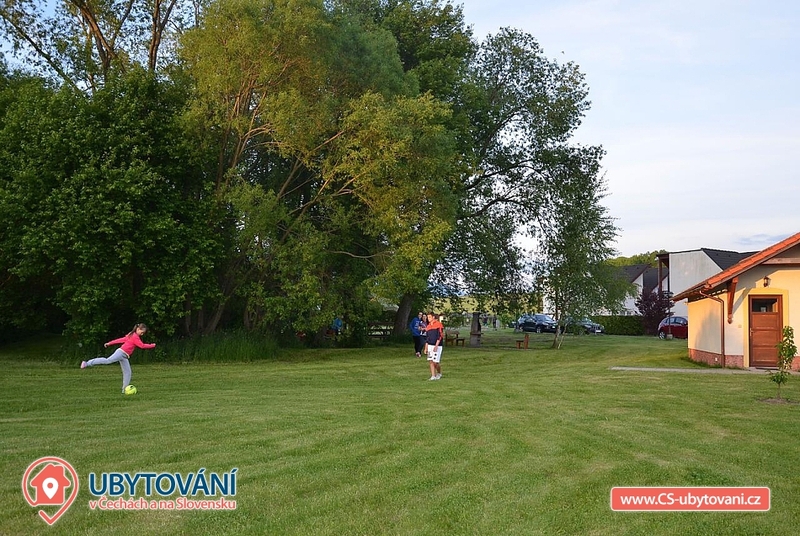 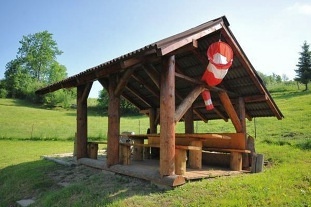 7 kmJaskyne - Demänovská, Jánska, Važecká. 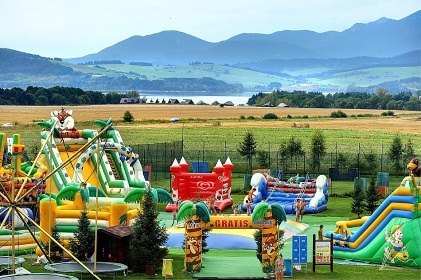 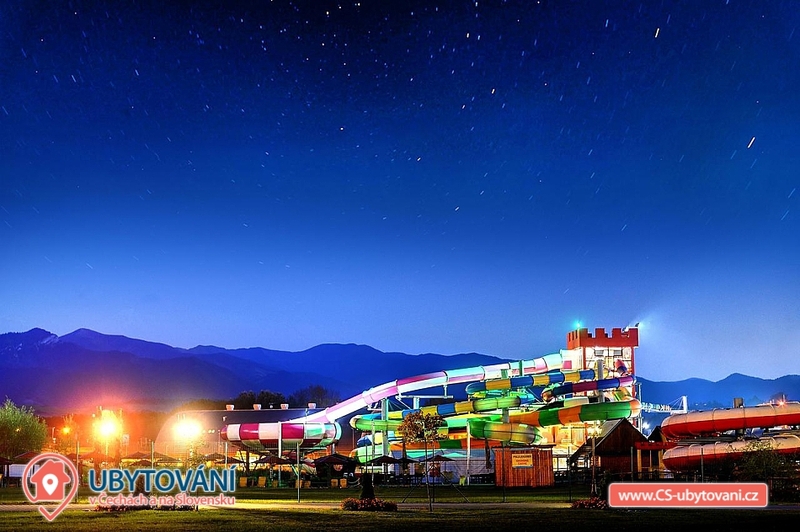 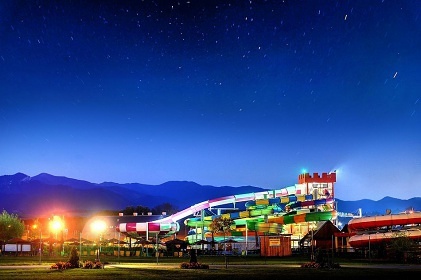 Fun Attractions - karts, laser games, rafting, paragliding and sightseeing flights by a drill.